THIS POST CONTAINS AFFILIATE LINKS. SEE MY AFFILIATE POLICY HERE. 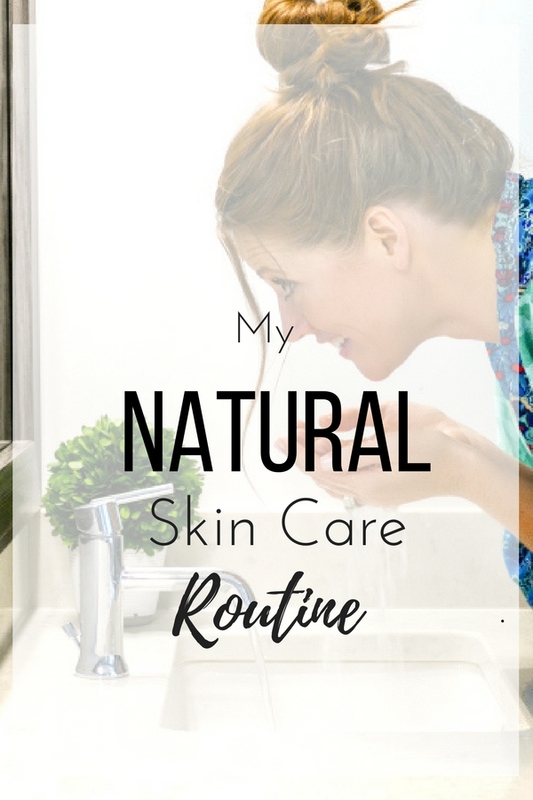 I get a lot of questions on my skin care routine, so not only did I do a Facebook Live on it, I am also doing this post so you’ll have a quick and easy spot to reference it. 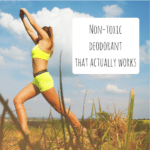 Of course, one of the most important aspects to me is that my products are non-toxic. 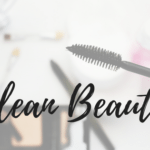 See this post on Clean Beauty: The Top Ingredients of Concern to see what I avoid and what I look for in my skin care products. I have tried MANY products over the years. 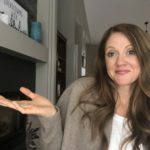 One of my main goals with this whole blogging thing is to make the journey to Clean Living easier for you. I want to save you time and money. 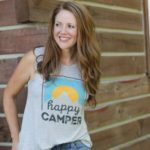 I’ve been trying different natural products for almost a decade. Just for reference I have sensitive skin that tends to be more on the dry side. My skin also tends to have redness which is mostly gone after switching to a clean diet and clean beauty products! The two main brands that I have used for years and love, are Annmarie Gianni Skin Care and Beautycounter. I have also more recently been using some Dawn Lorraine Skin Care after getting an amazing facial. 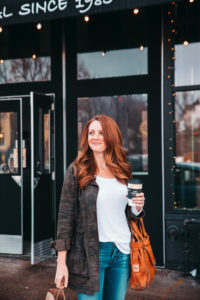 I mix and match their products and change things up seasonally or whenever I feel the need for a change, but I typically stick to these brands and couldn’t be happier. 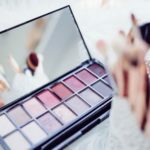 These companies have a passion for changing the beauty industry, using the highest quality ingredients and caring for their employees and the environment. Let’s dive in and start with face wash. I switch between 2 different face washes. 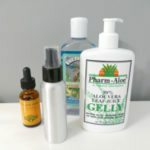 The first one, Annmarie Gianni Aloe Herb Cleanser, is ph balanced, moisturizes, doesn’t strip skin, and smells like a spa. It may seem like a lot of money for a little jar, however, one pump is all you need so it actually lasts me a long time. The second face wash I use is Beautycounter Cleansing Balm. This is my #1 if I could only pick one product, this would be it! It’s a cleanser, eye makeup remover, moisturizer and overnight mask. If I’m traveling, I bring this because I can use it for so many things. So again, even though it is expensive, you only need a small amount and this jar can last you a year if you’re only using it once a day. After I clean my skin, I spray it with a toner. Again, I have 2 that I switch in between. I like to have options! The first one is Beautycounter Plumping + Peony Facial Mist. It plumps skin and minimizes fine lines. 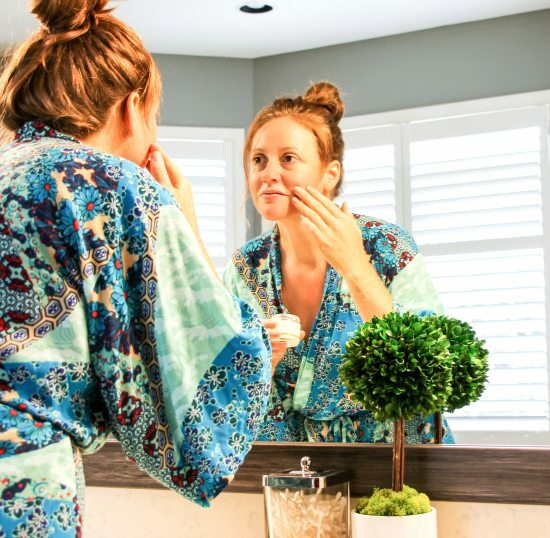 In general, toners are used to refresh your skin, help prep your skin to absorb more of your moisturizer and set your makeup. The other one I use is my homemade Sensitive Skin Toner. 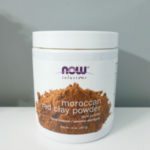 This is excellent for sensitive skin and has willow bark to reduce redness. Put witch hazel, white willow bark and aloe vera in your spray container. Then add distilled water to fill. Shake and you’re ready to go. After I spray my toner, I use a serum. 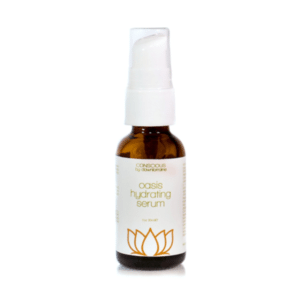 Serums are a concentrated skin care product that are full of nutrients for your skin. Serums target specific concerns, such as wrinkles or age spots. I did not start using a serum until around the time I turned 40 and honestly my skin has never felt better. Surprise, surprise, I have 2 favorites that I go back and forth between. 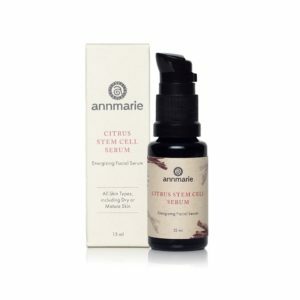 Annmarie Gianni Citrus Stem Cell Serum. This targets mature skin. It brightens, tones & firms and has hyaluronic acid-this helps skin to hold on to moisture, plumps, firms and tightens. Dawn Lorraine Oasis Hydrating Serum. This plumps fine lines & wrinkles and improves elasticity. 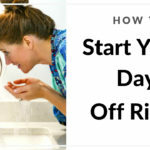 You only need to use 1-2 drops at a time. It restores skins protective barrier, and also has hyaluronic acid. After my serum, during the day, sometimes I go right to my foundation and sometimes I use a light moisturizer. 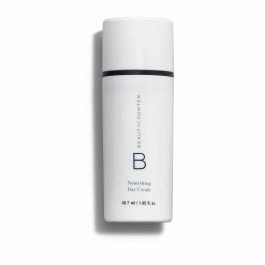 Right now I’m loving this one: Beautycounter Nourishing Day Cream. In the evening, my routine changes a little. I switch between the same two cleansers. If I’m using the Beautycounter Cleansing Balm, that will remove my eye makeup and cleanse. If I’m using Annmarie Gianni’s Aloe Herb Cleanser, then I will need something to remove my eye makeup. I use this Sweet Almond Oil and a cotton ball. Then I wash my face. I spray on some toner. I use one of my serums. Then I have two different nighttime moisturizers that I switch between. 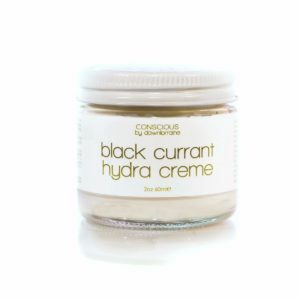 Dawn Lorraine Black Currant Hydra Creme. This is ULTRA moisturizing for really dry skin. It also has papaya enzymes to exfoliate and stimulate cell renewal. I love this stuff. 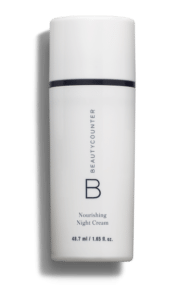 Beautycounter Nourishing Night Creme. This has coconut oil, aloe, geranium and green tea. This is a lighter moisturizer that I use it when I’m not feeling as dry. That’s it for my everyday routine. I do have a couple more products that I use on a regular basis. I exfoliate 2-3 times a week. I love Annmarie Gianni’s Kaolin Micro Exfoliant. Exfoliating removes buildup, minimizes the appearance of pores, smoothes skin, and allows your other products to penetrate more deeply. It smells amazing and works like a dream. 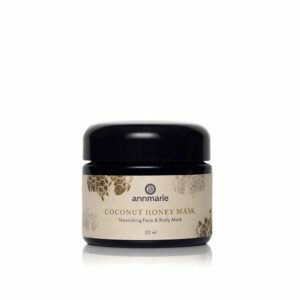 Annmarie Gianni Coconut Honey Mask. This is a weekly treatment for really dry skin-love! 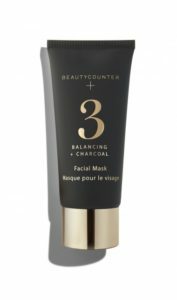 Beautycounter Balancing + Charcoal Mask. This exfoliates, draws out impurities and minimizes pores. Mix the apple cider vinegar in with the powder and let it start to foam. Add water as needed for consistency. Spread a thin layer on your face. Allow it to dry. When it is dry, scrub it off gently with a washcloth. Follow it up with a toner and moisturizer. Remember, that what you put in your body has a huge impact on your skin. So if you’re using great products and not seeing the results you want, it may be time to take a hard look at what you’re eating. Also, if this seems overwhelming, start small. 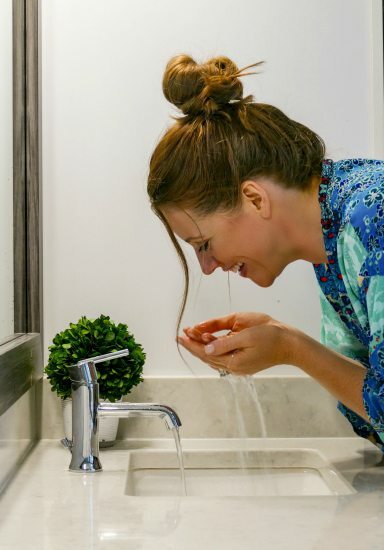 When your cleanser runs out, swap it with one of my healthier choices. Swap out the products that you use the most first. Get a product that can be used for more than one thing. This is doable. Remember why you’re doing this….because manufacturers aren’t required to test their products for safety before putting them on the market. We need to be own own advocates. Let’s vote with our dollars and put our money into companies that care about us and the environment. I hope this inspires you to take great care of your skin. Here’s to glowing and youthful complexions! 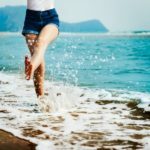 Nice Post About skin care products. Thanks for sharing.